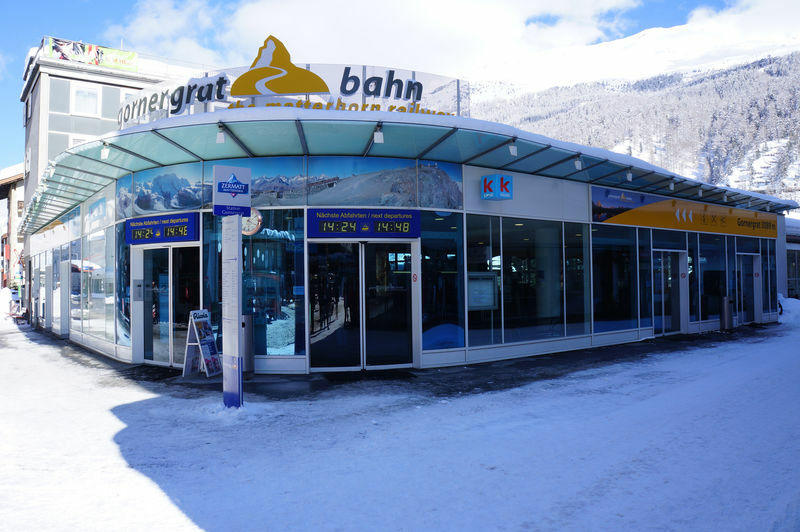 The Gornergrat Bahn (GGB) is a rack-and-pinion railway. The inaugural run took place in summer 1898. At the time, the GGB was the world’s only fully electrified mountain railway. An original locomotive from the period stands in the middle of the roundabout at Stalden, further down the Matter valley. The ride reveals especially attractive views of the mountains around Zermatt, including the Matterhorn. Best of all, however, are the views from the observation platform on the Gornergrat: 29 peaks above 4,000 m, including the Monte Rosa, Matterhorn and Weisshorn as well as the Gorner Glacier, the second-largest in Europe, and many other summits capped in ice and snow. The 3100 Kulmhotel Gornergrat is the highest-altitude hotel in Europe (3,100 m). 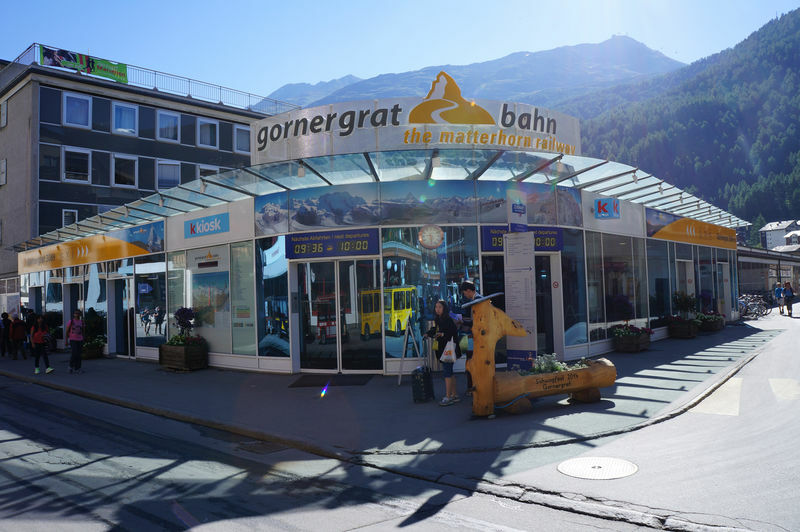 Today, the journey from Zermatt up to Gornergrat (3,089 m) takes 33 minutes.The Gornergrat Bahn cog trains carry visitors from all over the world up to the heights from all over the world up to the heigths. In summer, the trains carry hikers, mountain bikers, day-trippers and international tourists; in winter, skiers and snowboarders dominate the scene, but day-trippers, sun-worshippers, winter hikers, tobogganing (sledging) enthusiasts and snowshoe hikers also use the world-famous cog railway. The summit terminus is the highest open-air station in Europe.